US ride-hailing group Uber said Wednesday that it would start deploying electric bikes and scooters for rent on Paris streets as soon as this week, joining a crowded market which city officials have vowed to rein in. Initially 500 of its Jump bikes and 500 scooters will be rolled out, before Uber extends the programme to Paris suburbs and other French cities. They will be so-called "dockless" rentals that can be picked up and left anywhere, a system that has proved a headache for residents who often find them blocking pavements or strewn across the city's picturesque squares. 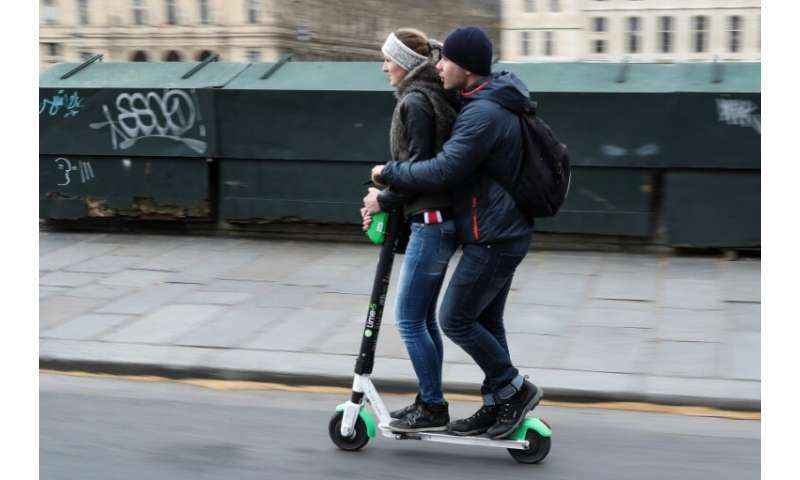 An estimated 15,000 scooters operated by several companies have flooded the French capital since their introduction last year, a number projected to surge to 40,000 by the end of this year. This month Paris said it would start imposing fines of 135 euros ($150) for riding scooters on pavements, and 35 euros for improper parking. Like the other nine scooter operators in the city, Uber will also have to pay an annual licensing fee of 50 to 65 euros per scooter, depending on the size of its fleet. And Uber said it had already signed the code of good conduct unveiled by Paris officials last week. Rental prices for both the bikes and scooters will be the same: a one-euro unlocking fee and then 15 cents per minute. The bikes will have a top speed of 25 km/h (15 mph), while the scooters can reach 20 km/h. Uber bought Jump, a fellow San Francisco-based start-up, last year. Its bright-red bikes are already present in several US cities as well as in Lisbon and Berlin. Uber had already announced Tuesday its plans to develop scooter offerings across Europe, beginning with Madrid.